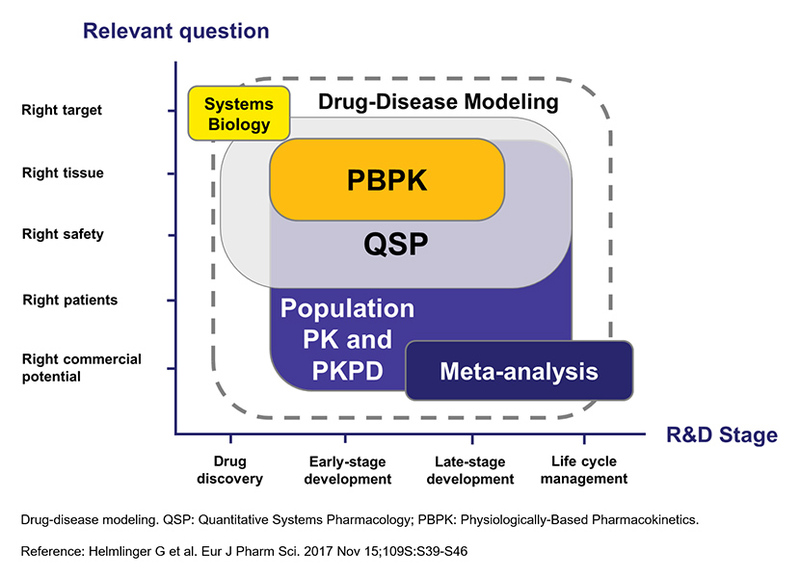 The high versatility of modeling skills represented within the M&S Decisions allow us to cover: population PKPD and pharmacometrics, quantitative systems pharmacology (QSP), disease progression modeling, meta-analyses – thereby providing our clients with quantitative companion tools, in support of decision-making across the Drug R&D continuum. 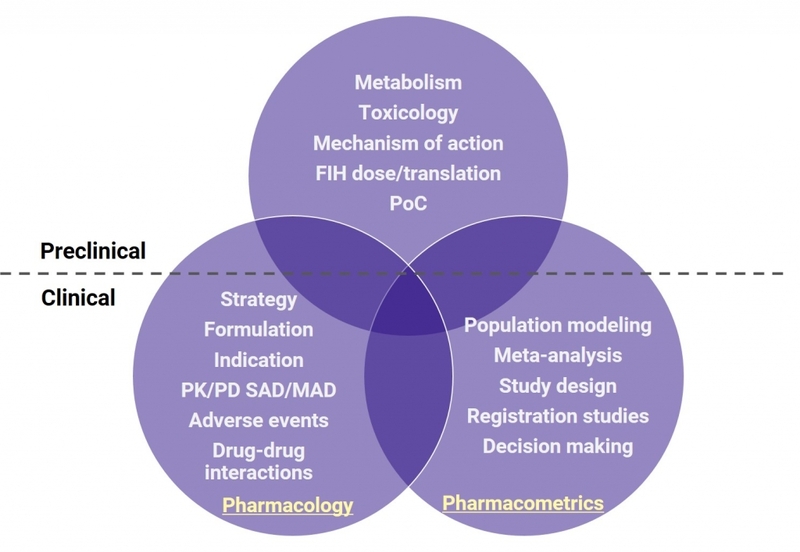 Meta-analyses and advanced data mining. Cell dynamics modeling: cell growth and cell death modeling (bacteria, viruses, tumors), cell cycle and circadian rhythm modeling.